Summer is finally here! I hate I didn't post a lot at the end of the school year but I had A LOT going on. The major thing was that I got a new job teaching behavior support at an elementary school next year! I'm super excited for this transfer in positions, as my master's degree is in emotional and behavioral disorders. As a behavior support teacher, my job will include teaching students with behavior disorders in my own classroom and also working on behavior plans within the general classroom. With this big change in jobs I plan on soon renaming and changing my blog. I would LOVE some ideas for what to name the blog, so please feel free to comment your suggestions. 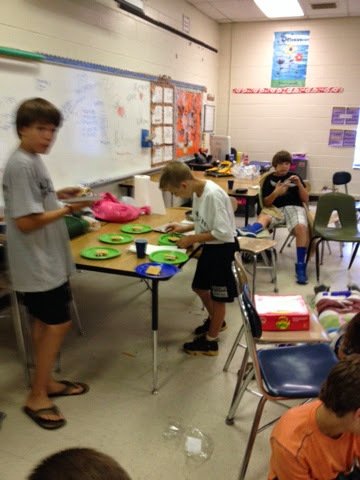 To wrap up the end of teaching sixth grade I am attaching some pictures of the end of the year with my students. I can not say enough how blessed I was this year to have such great students. I will miss them all! The last week of school we had a camp day. 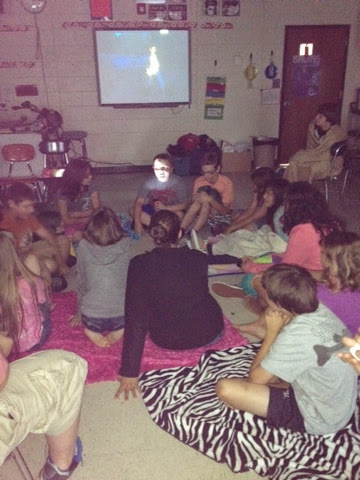 We told ghost stories, made smores and played camp games. 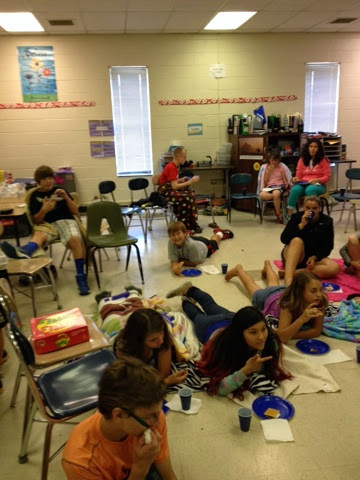 Eating smores while watching Ghostbusters! 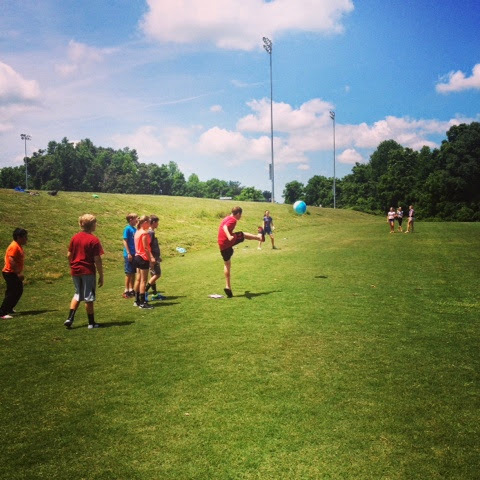 Class kickball was a huge hit! 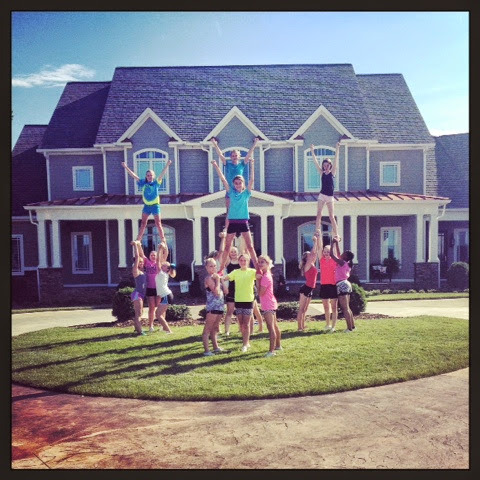 This would have been my cheerleading squad for the next school year. The next coach will be very lucky to get to work with these girls. My empty classroom. 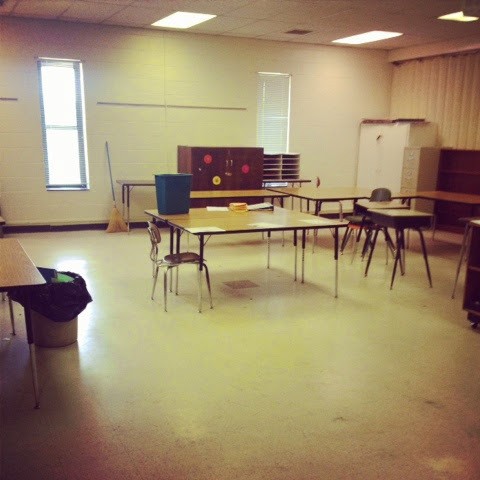 It makes me sad to see this but I am excited for the next adventure in my teaching journey!